HARLINGEN — Under scattered balding greens, roundworms sucked the life out of patches of turf. So crews have mixed up recipes to try to cure fickle course conditions that have led some golfers to stop teeing off at the Tony Butler Golf Course. Now, the city is counting on an international consulting firm to help pull the former stop on the PGA tour out of the hole. This week, Florida-based National Golf Foundation Consulting will launch a $22,500 study aimed at ramping up the golf course’s operations and boosting its revenue. “ With over 32 years of experience, we believe that they provide the necessary expertise to conduct a comprehensive review of our golf course facility and can assist us in developing a framework that structures a successful business plan to move forward with,” Harlingen Assistant City Manager Carlos Sanchez said. For months, city officials have mulled options aimed at sparking up the golf course’s revenue stream. In part, some officials have blamed a drop in the number of Winter Texans for falling revenue. Meanwhile, golfers such as Art Gonzalez, a member of the Pan American Golf Association, have complained some balding greens can fluster a player’s putting game. Then soil tests found high levels of nematodes, or roundworms, microscopic insects that eat grass, were damaging and stunting turf. Late last year, a new committee proposed hiring a company to help improve the golf course’s conditions. “ We look forward to them getting started and then evaluating the recommendations they will provide,” Sanchez said. This week, he said, the firm will launch its 75 to 90-day study. For about five years, the golf course has been losing money, pushing the city to dip into its $43 million general fund to offset shortfalls. With annual expenditures of about $1.2 million, falling revenues have left deficits ranging from $48,324 to $302,587 annually. As part of the contract, the firm will evaluate the golf course’s operations, including finances, staffing, maintenance and clubhouse. “ NGF Consulting will conduct a review of the current operations with the objective of identifying potential courses of action that will result in improved facility economics,” the contract stated. “ The focus of the review will be to identify key physical areas that would be enhanced to either improve revenue performance and/or reduce expenses in the operation,” the contract stated. The consultant will also consider “alternative” operations, such as contracting management, maintenance and food and beverage service. “ The NGF will review the short- and long-term financial and operational advantages and disadvantages of the … options, the short and long-term risks associated with each option and the public policy implications of each operational consideration,” the contract stated. The firm will also conduct a market study reviewing public golf courses in the area. 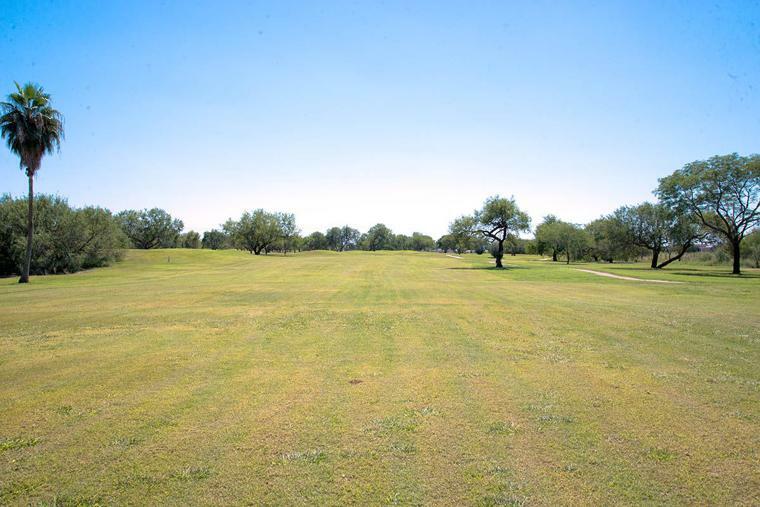 “ NGF Consulting will develop an analysis to provide a thorough understanding of the supply/demand dynamic that is driving the competitive public golf markets in the Cameron County/Hidalgo County area golf market,” the contract stated. Based on its review of operations, the firm will present five-year revenue projections based on rounds played, green fees, member dues, cart rentals, merchandise sales, food and beverage sales, special events and tournaments. “ NGF’s financial projections are prepared for feasibility purposes and therefore will be conservative and unbiased,” the contract states.